Anthony Flaccavento is an organic farmer and small business owner near Abingdon, Virginia. He has been working on community environmental and economic development in the region and around the nation for the past 30 years. 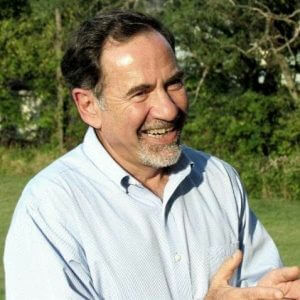 In 1995, he founded Appalachian Sustainable Development (ASD), which became a regional and national leader in sustainable economic development, launching innovative enterprises in food aggregation and distribution, food access for lower income people, sustainable forestry and wood products and more. In 2009, he founded SCALE, Inc, a private consulting business dedicated to catalyzing and supporting ecologically healthy regional economies and food systems. SCALE works with community leaders, farmers, foundations, economic development agencies and others in Appalachia, Iowa, Michigan, New Mexico the Arkansas Delta, Minneapolis and other communities, both urban and rural. Flaccavento speaks and writes about sustainable development, economics, food systems and rural development issues extensively, with some of his pieces appearing in the Washington Post, Huffington Post, Solutions Journal and elsewhere. In July, 2015 he launched a weekly You Tube series, “Take Five with Tony”, as part of a new bottom up economy initiative. He is the author of Healthy Food Systems: A Toolkit for Building Value Chains and his book, Building a Healthy Economy from the Bottom Up will be published in the spring of 2016. In 2012, he was the Democratic candidate for the US Congress in Virginia’s 9th District. He has a BS degree in Agriculture and Environmental Science and a Masters degree in Economic and Social Development, and is married with three grown children. Contact Anthony Flaccavento for speaking terms and dates.